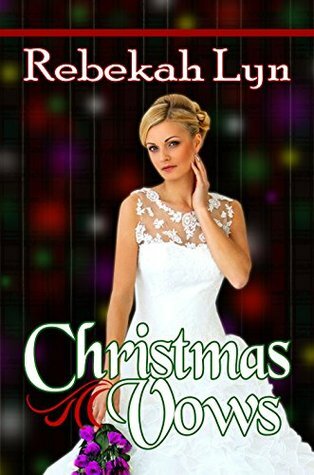 Author Rebekah Lyn’s Seasons of Faith series ends with an elegant and Christmassy finale in Christmas Vows. A full cast of characters return for this story that centers on an upcoming wedding, but what happens when the bride finds herself battling grief on the way to what should be the happiest day of her life?As with the previous novel I read in this series, I found here a straightforward story mixed with much faith. Though the main characters are all dealing with their own separate situations, the storylines are easy to follow. There were places where my interest waned somewhat, while the characters discussed rather standard minutiae involved in wedding planning and times when the storytelling lingered over minor matters.Still, the novel’s beautiful cover put me in expectation of some beautiful moments, and those expectations were met. Here’s a heartfelt and worthwhile read that many fans of Christian Fiction should enjoy.______________________I received a complimentary copy of this book from a publicist for an honest review. Since I had a Christmas wedding, this book really caught my eye. And, I like the writings of Rebekah Lyn. The story line was good, but to me it came to somewhat of an abrupt end. The editing was almost non existent in the Kindle version. Whole phrases with the strike out in them were distracting. If you love weddings, you'll love all the tension that leads to a beautiful ending.